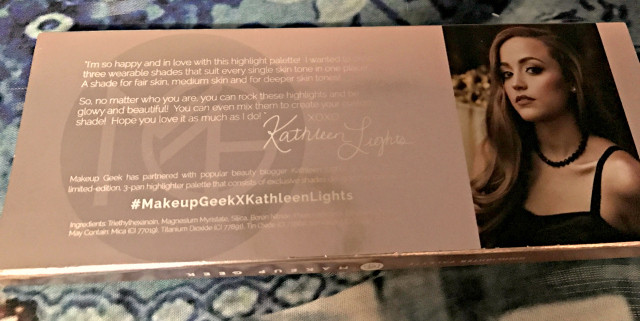 Today I will be posting about a well renowned highlighter palette by "Makeup Geek x Kathleen Lights " I mentioned in post here how my friend Jee Bee who is also a Blogger at The Glam World was too sweet enough to order Makeup Geek X MannyMUA Palette for me While ordering for her self with that palette she ordered this one as well. 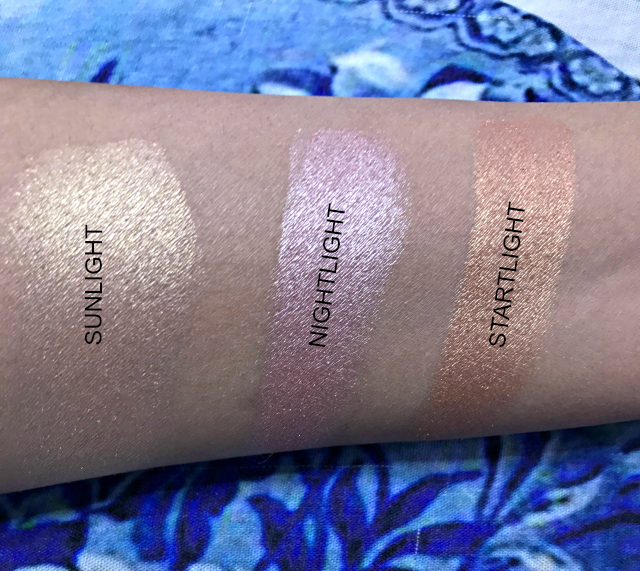 So, These are also the very first highlighters released by the brand. 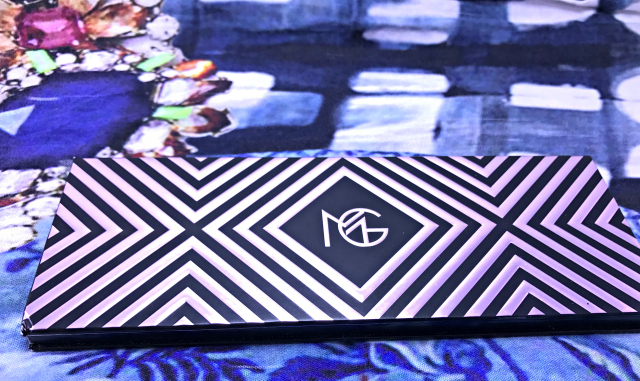 I’m a being a new fan of Makeup Geek and Crazy about highlighters am so excited to review the palette. 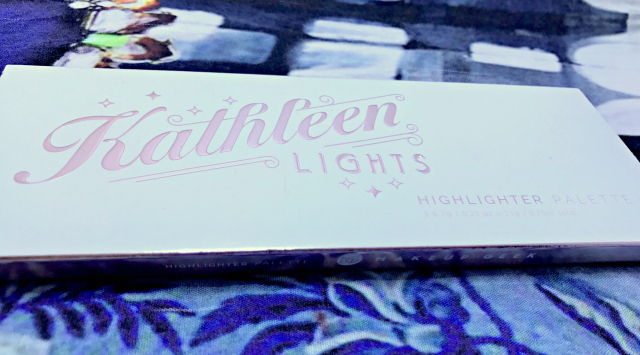 PACKAGING : The Makeup Geek x Kathleen Lights Highlighter Palette comes in a Simple cardboard white Cover with Kathleen Lights name with stars embossed in rose gold.. The Palette itself is very pretty . It's Standard Makeup Geek style in black with stripy lines and Make Geek Logo embossed in rose gold. 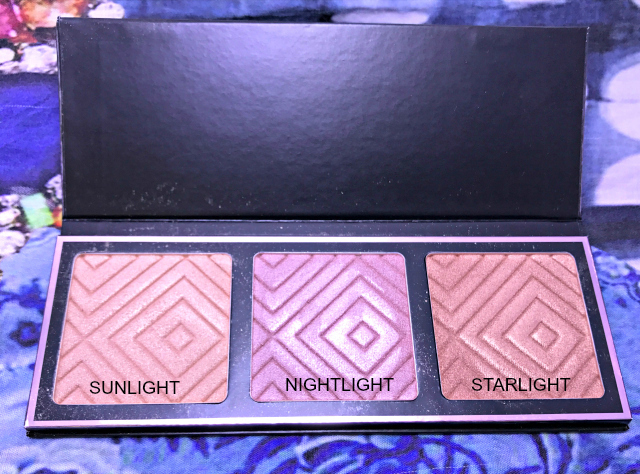 The back of the palette has the logo with the names of the individual highlighter shades.The highlighters have the same Makeup Geek stripey artwork style pressed into the pans which makes the palette look extra luxurious. FORMULA : The formula of the highlighters is very creamy and soft but unscented. Its highly pigmented, buildable and blendable. Since its highly pigmented you need to use a light hand for application. It gives very foiled and metallic finish. If you were to look up close, the foiled effect is pretty obvious but the best thing about these are its not glittery ! LASTING : Lasting is also very good and they last for good 6-7 hours easily. JEEBEE has also reviewed this palette on her blog .. I think her take on the palette is little different than mine ;/ Go check HERE. Love the Nightlight shade and the pinky blue tones! Would be a good palette for my mummy! I am loving those colours especially the Nightlight shade. Sunlight is such a gorgeous shade.